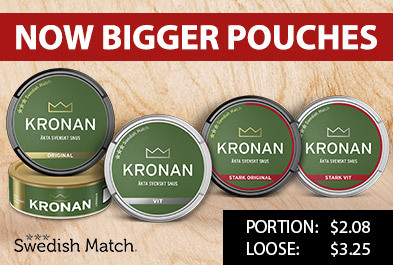 The Snus tobacco where stored in used whiskey barrel to make it so complex and flavorful as possible. The snus has a taste of single malt whiskey from the Scottish Highlands. The pure whiskey is volatile and evaporates after a while. 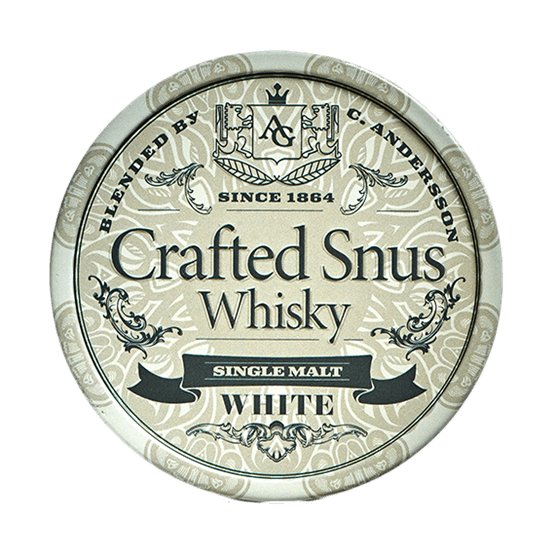 Crafted snus whiskey white smells of tobacco, whiskey and dark chocolate. The taste is characterized by well-baked tobacco blending with whiskey and light tones of chocolate and walnut, with a smoky aftertaste.